This blog post was written by Colleen Molloy, City of Sanctuary National Development Officer. The image used at the start of this blog post was produced for City of Sanctuary by Patti McKenna, a community artist in Swansea. When City of Sanctuary launched 10 years ago in Sheffield, our aim was to build a movement connecting local people with those seeking sanctuary and to build a culture of welcome into everyday life. Since then network has grown through groups in cities, towns and villages across the country, spreading across the Irish Sea and engaging people in Northern Ireland and Ireland. Our groups vary from big dispersal cities like Manchester to villages like East Hoathly and Halland in East Sussex but all groups share the vision of making our society more welcoming to those seeking sanctuary. We have raised awareness, networked and built partnerships and have tried to develop the culture of welcome across the voluntary and statutory sectors and have even engaged local businesses in understanding the needs of asylum seekers and refugees. We have also developed what we call streams, including schools, health, maternity, arts, faiths and other themes where we can bring ideas, resources and good practice together across a theme. We had not intended to be political and we remain non-partisan with support from all the major political parties. However, when you connect asylum seekers and refugees with local people, inevitably relationships build. 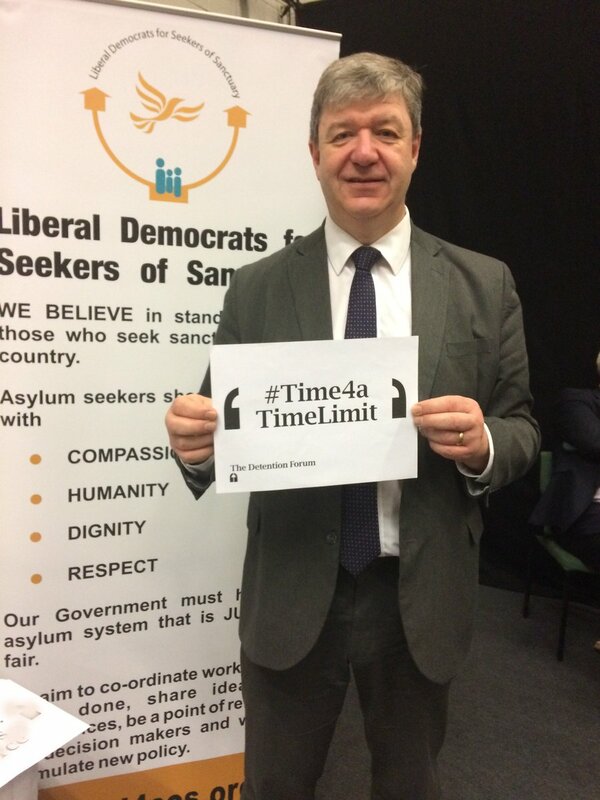 It is through these relationships, that we have learned from bitter experience about the inhumane process and painful journey that many asylum seekers experience in the bid to seek freedom and safety in the UK. 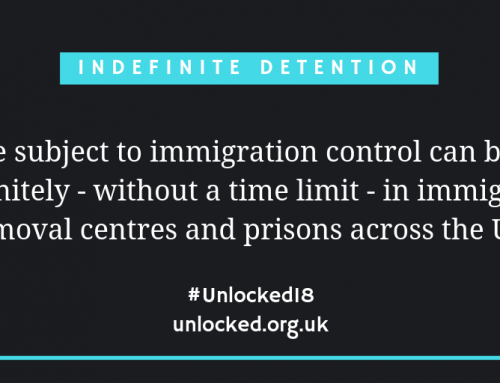 The most heart-rending and shocking experiences that our volunteers on the ground have found is that of the arbitrary detention of asylum seekers, often at the point of reporting and at the most unexpected of times. These volunteers have also stored their friends’ belongings for them whilst they await their release back into the community. Some of these campaigns are successful, but sadly some haven’t and the loss of a friend to deportation and uncertainty has further galvanised volunteers to become involved in campaigns to humanise the asylum process. In Leicester, the campaign to free Ali was started by the local anti-racist football team, which had welcomed him. As a Hazaran, who had lost his entire family, he was terrified of being returned to Kabul and could barely eat as the weeks in detention passed by. Ali returned to us after 12 hours in handcuffs at Heathrow airport and the local group helped him through a year of depression afterwards and then supported him into employment after eventually gaining refugee status. But we still miss Anashe, mother and grandmother to British citizens, who was detained twice before deportation back to Zimbabwe and such grave danger that we have lost contact with her completely. Lessons have been learned from both these campaigns and more local people have been mobilised and had their consciousness raised. In Leeds, we are still saddened by the deportation last year of Adenze after being detained with her two young daughters, seeking sanctuary from a forced marriage and the threat of FGM in Nigeria. Their campaign was featured in national media and a petition was signed by over 100,000 people. Despite this, the family were returned, caught malaria within days, lived in a Muslim Women’s hostel (despite their conversion to Christianity) and then faced destitution, relieved only by continued local support and fundraising. In Bradford, Camila, was dawn raided and taken to Yarl’s Wood with her 18 month old baby. She was not allowed to have physical contact with her daughter throughout her time in detention. After release, her reactive depression led to a suicide attempt but her community rallied around. Having a befriender, making friends and finding opportunities to volunteer for the City of Sanctuary has enabled this young mum to rebuild her life. She now chairs the regional health stream of sanctuary and is doing an access to law course and hopes to become an immigration solicitor if she is granted status. In Oxford, Ariana managed to escape her traffickers who were planning to sell her to a brothel. She was dehydrated, sick and eight weeks pregnant. After a stay in hospital, the police took her to Yarls Wood Detention Centre. She found it a depressing and stressful environment and became so ill that she was returned to hospital where she was accompanied by 2-3 guards continually, even when going to the toilet. 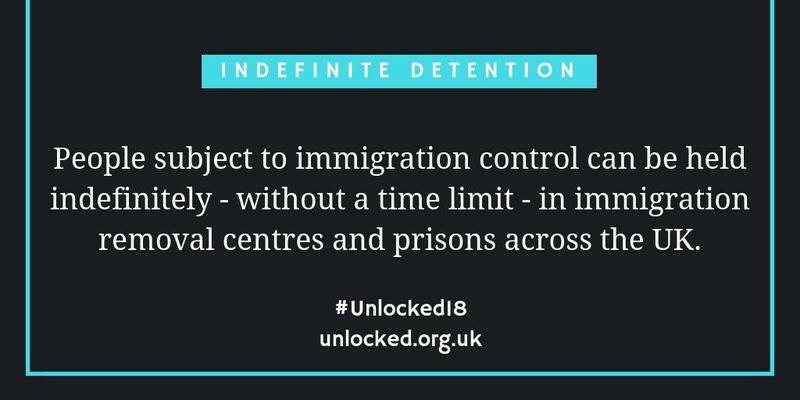 She was treated like a criminal and even though she was released from detention, she had further stays in hospital and was moved to Birmingham and then Leeds whilst still pregnant. Her life and the life of her baby was put at risk. Fortunately, through the City of Sanctuary’s network, she was supported, made friends and found a volunteer to be her birth partner. She was threatened with dispersal soon after her baby was born but by then City of Sanctuary volunteers had rallied round and managed to stop this and she is now accessing counselling and waiting a decision from the Home Office. 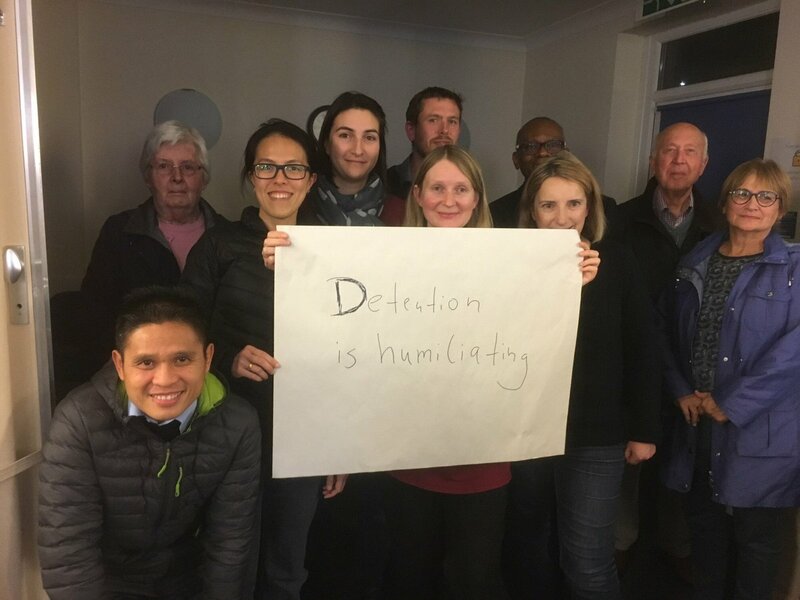 In many other places, through cities and towns of sanctuary networks, ordinary people in mainstream groups and organisations have been learning about the damage of indefinite detention through their connection with asylum seekers. Children’s friends are missing them and those who tried to help are also emotionally scarred. Families have been ripped from communities that accepted them and then plunged back into danger. The connection with people and experiencing their pain and our own pain when we lose them, is a powerful motivating factor and engages people in the movement for change and social justice. Most names and places have changed to protect and anonymise asylum seekers, who are still vulnerable. 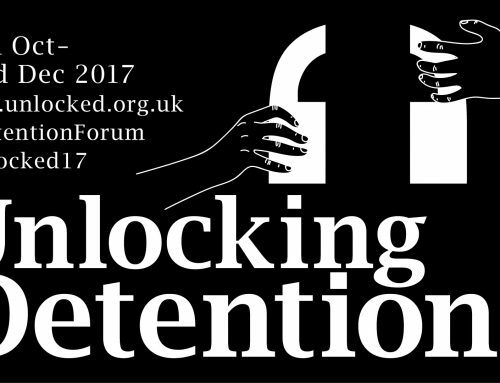 The guide to #Unlocked17 blogs is here!